Receiving a financial windfall is often a life-changing event. It’s a relatively common one, too. 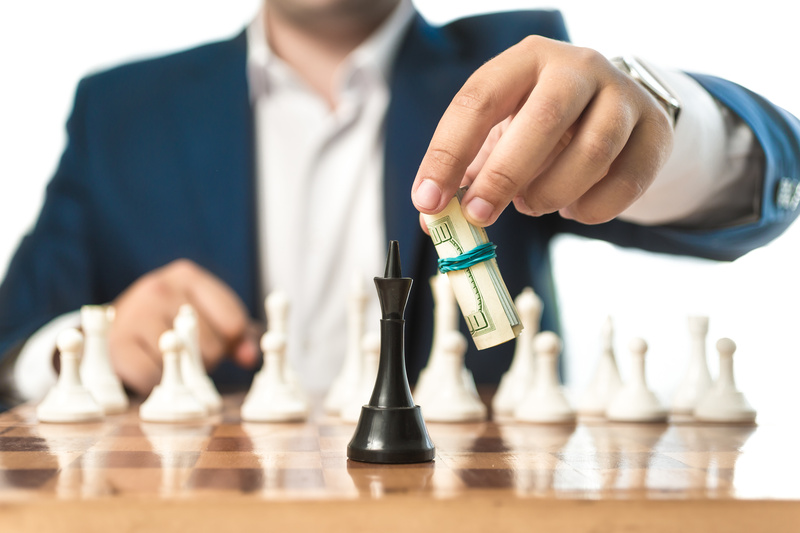 Your windfall might not be as large as winning the lottery, but the odds are that at some point you’ll receive a significant amount of money, perhaps from an inheritance, stock options, insurance settlement, or the sale of a business. Will you be prepared to make the right financial decisions? Here are several steps to consider before running out and buying that dream house you always wanted. Proceed with caution, commit to a blackout period. The first thing you’ll want to do after receiving a large sum of money is…stop and take a deep breath. You may feel the urge to spend, invest, move, quit your job, or give to others, but if you want your windfall to last, don’t do anything until you’ve had a chance to pause and plan. The money is not going anywhere. Resist the urge to run out and start spending. In fact, we recommend that you commit to a blackout period: a temporary amount of time during which you make no financial decisions. This time span should be no shorter than six months. In some cases, it may even need to be a year or longer depending on the size of the windfall. During the blackout period, try to maintain life as it was before the windfall appeared. Give yourself time to plan, and to assemble a team of trusted advisors to assist you with your planning. Regrettably, some people who suddenly come into money lose it all within a few years because they fail to commit to a blackout period or a carefully structured financial plan. Taking the time to make well-thought-out financial decisions will help ensure that your money will last. Until you’ve had time to explore your options, there’s nothing wrong with finding a temporary home to park your money. Consider keeping your windfall in cash or cash equivalent accounts. Short-term investments such as government bonds, saving bonds or money market accounts are generally good alternatives. You don’t have to leave it there forever–just set it aside until you’ve had time to formulate a plan. Because your finances are likely going to be a lot more complex now, one of the first things you should do is get unbiased advice from financial professionals who can help you put together a financial plan. A great place to start would be with a Certified Financial Planner®, or CFP®) like those at Vermillion Financial Advisors. Your advisor can also help to determine if you need to work with an accountant, an attorney, or an insurance professional who can help address any tax, estate planning, or insurance planning concerns. Receiving a windfall brings with it stress, especially if it was the result of a lawsuit where you or a family member was injured. Having a support team of professionals will go a long way toward helping you handle the pressure that always comes with a windfall. When word gets out that you have come into money, it is only a matter of time until you are approached by dozens of charities. If you decide to give financial support, how will you distinguish a quality charity from those other organizations simply trying to separate you from your money? Once you donate to one charity, get ready for a barrage of solicitations when others learn about your generosity. The requests for funds will increase dramatically. Should you give or loan money to family and friends? Again, it’s best to wait until you’ve set your own priorities and had time to develop a plan. Otherwise, your actions may set a precedent that you may not have intended, and cause unwanted consequences. Personal relationships may suffer as a result; especially if your gifts to various relatives are not equal or all inclusive. If you start gifting or spending your money too quickly, you risk ending up a statistic of loss, or just plain “broke”. A financial windfall can turn even a financially conservative person into a shopaholic! Although it’s tempting to buy something you’ve always wanted but couldn’t afford before, we recommend you put all spending on hold until you have an opportunity to work with your Vermillion CFP® to create a personal financial plan. If your ultimate goal is to create lasting wealth, taking time to consider your future needs is not just a good idea, it’s a necessity. Unfortunately, more than one person has become the target of unscrupulous individuals looking to profit from the good fortune of others. Even if you’re approached by a well-meaning friend, family member, or business associate, you should have your Vermillion Certified Financial Planner® thoroughly investigate any and all investment or business opportunities presented, instead of relying on someone that has never had any financial training or investment experience. If you have trouble saying no, simply explain your blackout period, or refer all requests to your CFP®. In most cases, that is where the solicitations will end. An important part of handling a financial windfall is to begin with an inventory of all your finances. During this process you will discover and document your short-term and long-term needs and goals. This will serve as a foundation for your future plans. •How much money will you need to set aside for emergencies? •Do you have any outstanding debt? Should it be paid off immediately? •Do you plan to pay for your children’s education? •When is a realistic time period to consider retirement? •Are you planning to buy a first or second home? •Would you like to quit your job, or go into business for yourself? •Are you considering giving or loaning money to loved ones, or donating to a favorite charity? •What would you like your wealth to accomplish over time? Once you’ve completed your planning, your blackout period has lapsed, you have made your initial decisions, and set aside money needed to pay taxes; it’s time to consider spending a small portion of your windfall on something for yourself. This is your reward for being patient and doing things right. As long as you’ve taken care of business first, you can now begin to enjoy the benefits of your financial good fortune. If you plan well and control the urge to overspend, your windfall can provide you with financial security and comfort for many years to come.